Learn how to remove our Adobe extension without leaving any traces. First we cover how to uninstall and confirm the proper removal of all files on a Mac, then how it is done on PC. If the 'UNINSTALL' button is enabled, click it. This will automatically remove all files for you. If the button is not enabled, your system doesn't have the extension installed. Check if any folder with com.frameio.panel in the name exists. If so, delete the folder(s). If the 'UNINSTALL' button is enabled, click it. 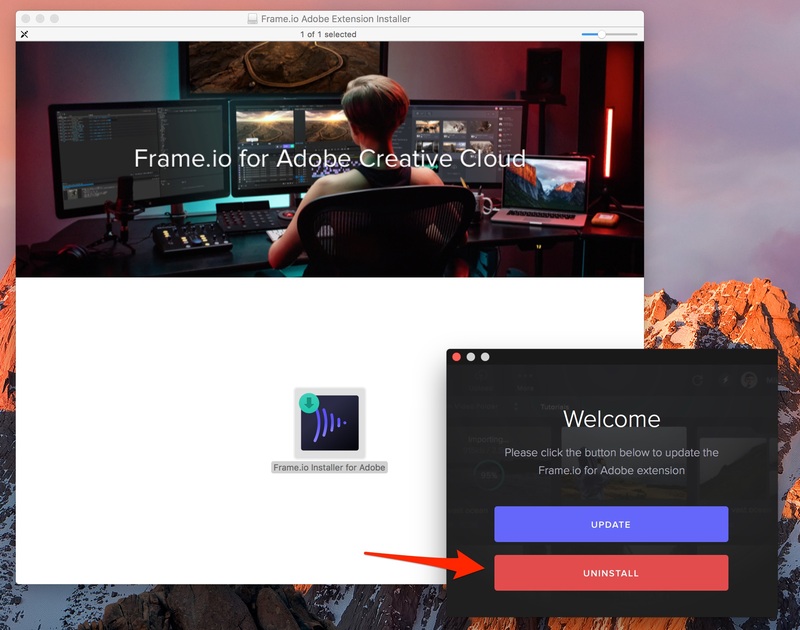 This will automatically remove the extension from all Adobe products.